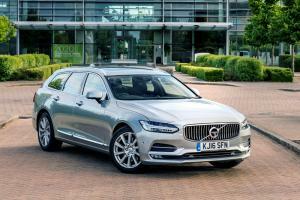 When Volvo launched the new S90 and V90, they did so with a series of rather stirring videos. There’s nothing unusual about that: we’re used to seeing images of the latest model pivoting from one sinuous corner to the next on an implausibly traffic-free road. But what Volvo did was more striking. Because the subject of the video wasn’t so much a car, as an entire country. Sweeping past the camera were fine examples of classical Swedish architecture, snow-capped Scandinavian mountains, luscious green forests, and impossibly beautiful minimalist homes. All of this was set to an achingly soulful track by Nause – they’re Swedish, too. “This is what I’m made of,” the voice told us. While that might sound like marketing fluff, it’s hard to imagine the new V90 having come from any other country. To start with, it’s been beautifully designed, from the Thor’s Hammer running lights and the concave grille to the subtle surfacing and the steeply-raked tailgate. The latter does have an impact on the V90’s volume, however – its 560 litre boot capacity rises to 1,526 litres with the seats folded (made easy by buttons in the boot wall and electrically-folding headrests) making it generous if not class-leading. It is, however, an incredibly practical space. 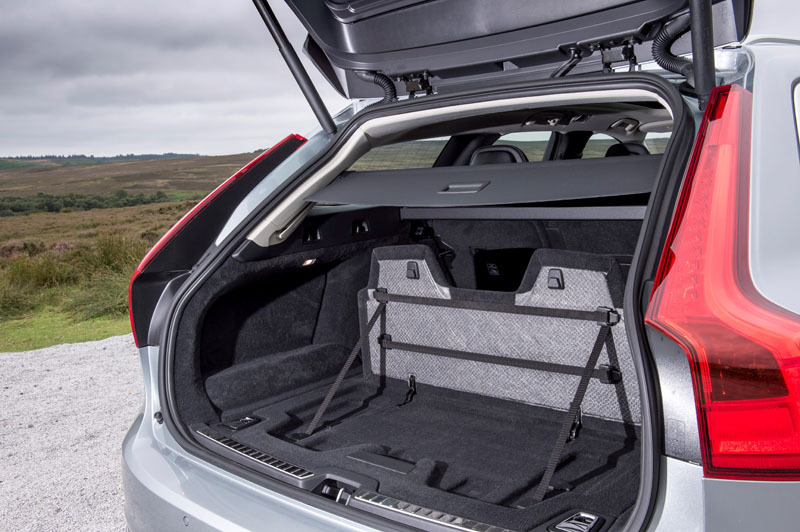 All V90s have a power tailgate (hands-free on some models), plus a sprinkling of tie-down points, shopping bag hooks, an underfloor compartment, a load cover that retracts automatically, and more. There’s also a low load lip, a wide opening, and a complete lack of suspension intrusion that positively invites you to fill it with flat-pack furniture. Rear seat passengers are well looked after, although whoever sits in the middle has to contend with a high transmission tunnel, and there are air vents in the B-pillars, power points aplenty, plus the option of heated outer seats, dedicated temperature controls, and a huge panoramic sunroof to gaze out of. Up front, things are even better. The range of adjustability in the driving position is almost without equal and even with the cocooning effect offered by the high transmission tunnel, the feeling of spaciousness is a great stress reliever. 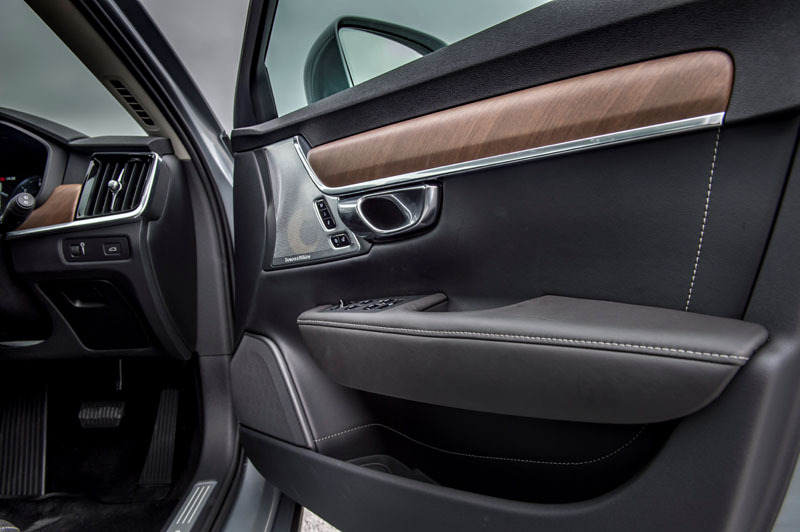 On top of which, the choice of materials reveals a quality level that many could learn from, with restrained use of brushed aluminium or attractive wood finishes punctuating the finely stitched leather surfaces. 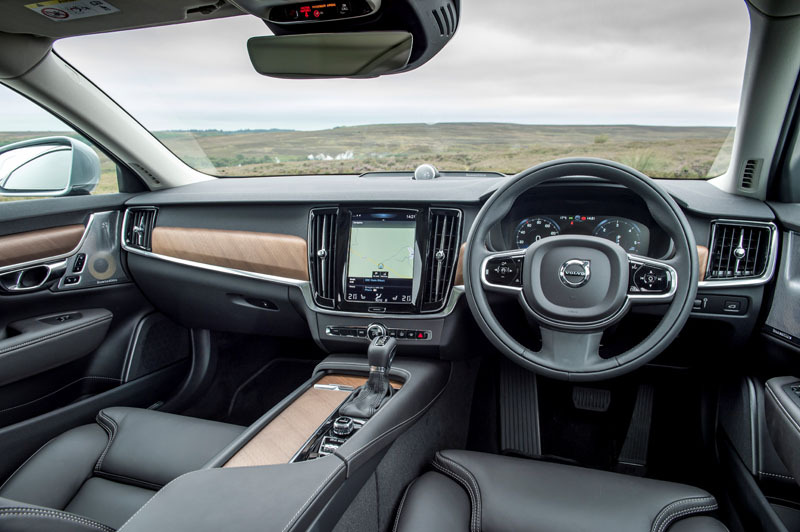 Volvo’s Sensus touch-screen control system continues to impress us with its high-resolution, pleasing design and breadth of functionality, although as we noted in our XC90 review there are still a few features missing, such as the ability to delete your recent navigation history, for instance (a recent update appears to have addressed this). Sound quality from even the basic system is excellent, while audiophiles might be tempted to add the incredible 18-speaker 1400W Bowers & Wilkins set-up. 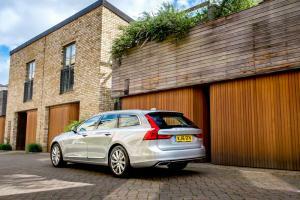 Android Auto and Apple CarPlay can be added for £300. 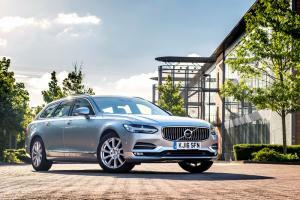 Power comes from a choice of two 2.0-litre four-cylinder turbo-diesels, starting with the 190hp D4. 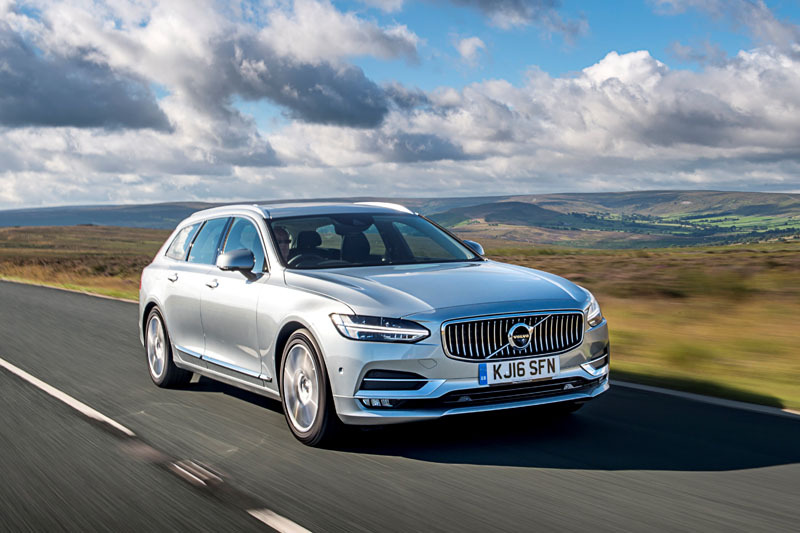 Its 400Nm of torque helps squirt it to 62mph in 8.5 seconds, yet it emits only 119 g/km of CO2 and returns up to 62.8mpg – although during a week’s testing we averaged just shy of 48mpg. The more powerful D5 offers 235hp and 480Nm, and uses Volvo’s innovative PowerPulse system (effectively a small tank of compressed air that spins up the turbo quickly to reduce lag) to deliver 0-62mph in just 7.2 seconds. Emissions of 129 g/km and economy up to 57.6mpg mean there’s little environmental penalty, plus D5 models are equipped with all-wheel-drive. 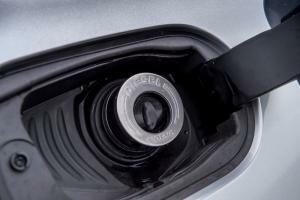 A T8 Twin Engine plug-in hybrid will follow later in the year, while other petrol options are currently under consideration for the UK market. All engines drive the wheels through an excellent eight-speed automatic gearbox that offers not only smooth changes from one ratio to the next but also a keenness to respond to requests for acceleration that results in a remarkably intuitive driving experience. 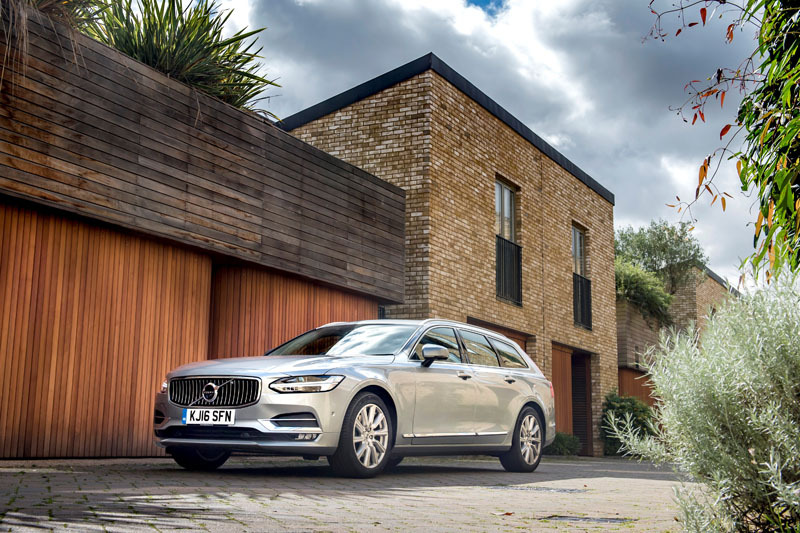 Of course, no-one buys an estate and expects it to handle like a sports car, and that’s just as well because the V90 certainly has its fair share of body roll. But what it also has is well-balanced steering that offers a surprising degree of feedback about the road texture and, despite its overall size, a welcome feeling of agility. 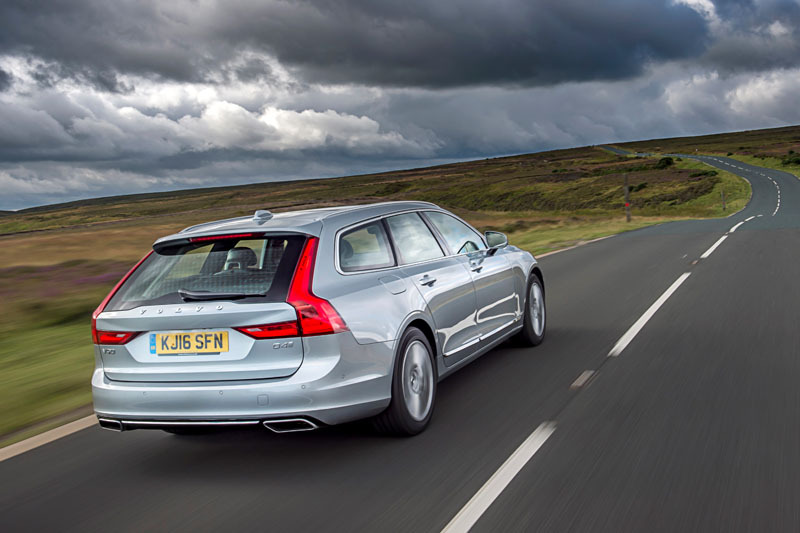 What the V90 really offers, though, is stability: at speed, the V90 holds its place on the road with seemingly no input from the driver. 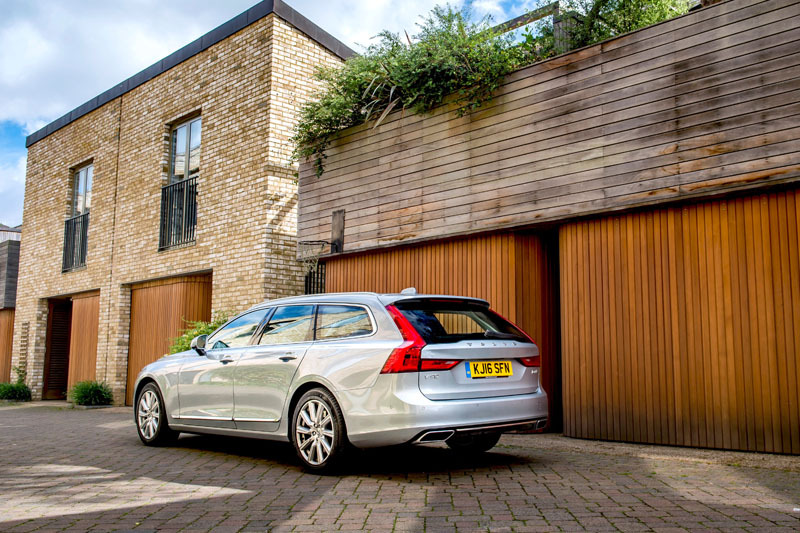 That not only creates confidence but also makes the big Volvo incredibly relaxing to drive in a way none of its competitors can match. 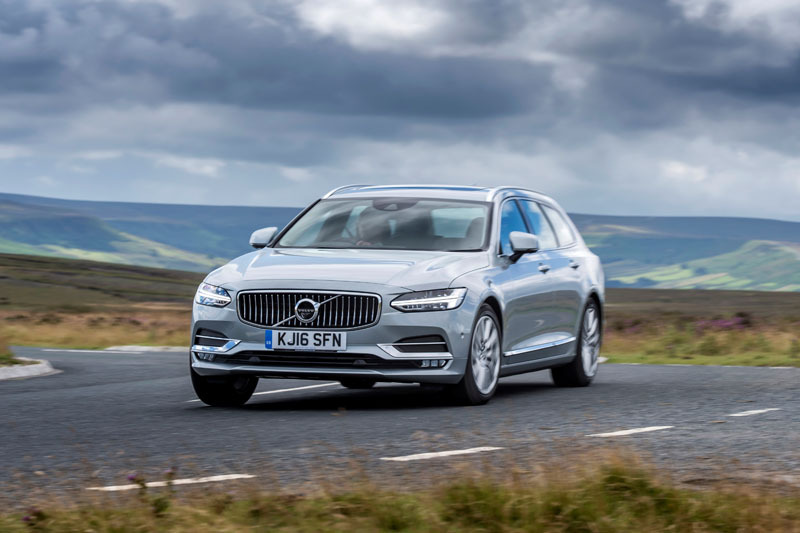 Added to which, wind and road noise are largely absent from the cabin and, other than a tendency to crash into pot-holes, the suspension deals well with body movements over undulations. In common with the XC90 then, the V90 is a consummate long-distance cruiser. 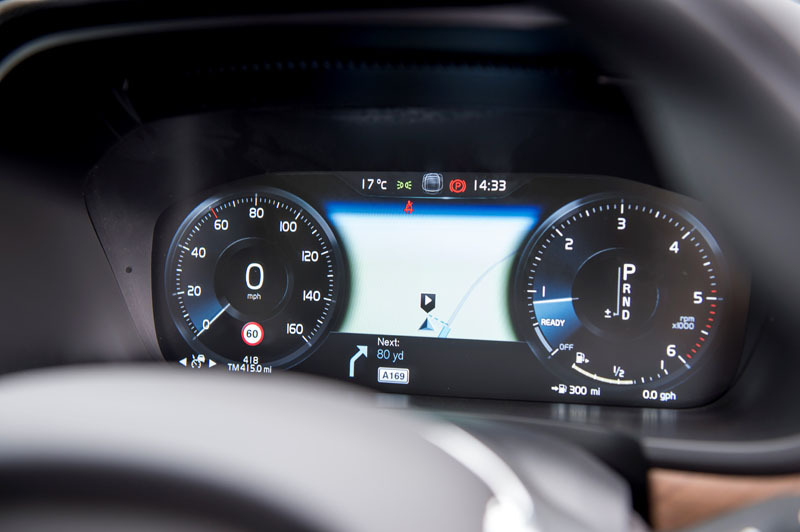 And should you find yourself on the wane, Volvo’s Pilot Assist can help steer the car while braking and accelerating to keep pace with other traffic up to 80mph. The company’s City Safety systems can now detect large animals in the road as well as pedestrians and cyclists, while a raft of other systems prevent you from inadvertently driving off the road or into the path of other vehicles. In fact, you’d have to work pretty hard to have an accident while behind the wheel of a V90, and the company is committed to its vision of no deaths or serious injuries in a new Volvo by 2020. Prices for the Volvo V90 start at £35,865 for the D4 Momentum, while a D5 PowerPulse requires a move to either R-Design or Inscription trim, bumping the price to at least £44,865. 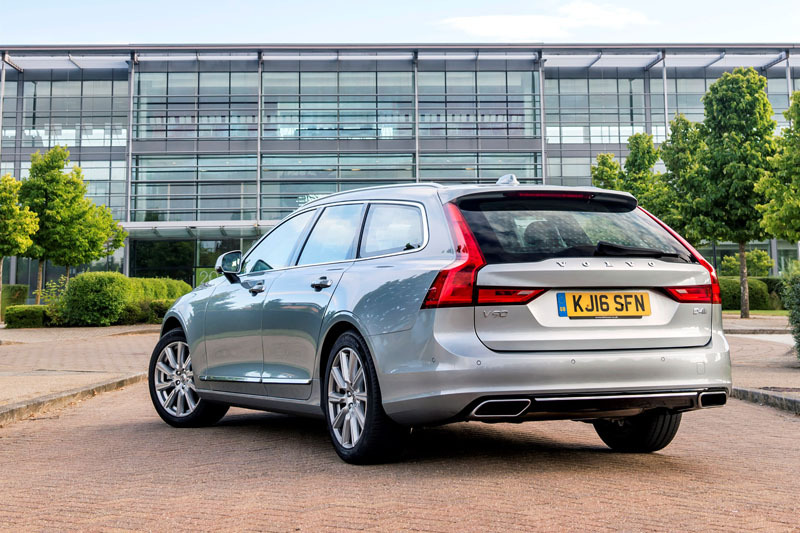 Standard equipment is fairly generous, with satnav, heated leather seats, power tailgate, LED headlights and Pilot Assist, although we think £400 is a bit cheeky for a rear-view camera that ought to be included. What you really get for your money, though, is the calmest, most comfortable and safest way of transporting your family this side of an XC90. 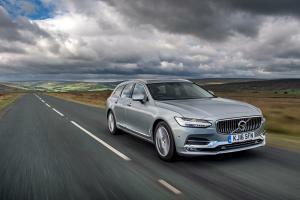 When the Germans build an estate car, we get rock-hard suspension and a tyre-shredding V8. That’s great for the autobahn, but not much use for trudging down the A303. 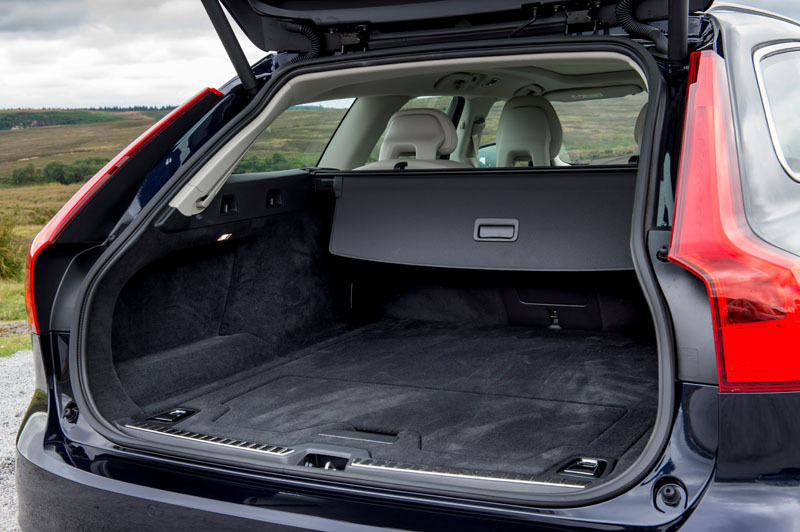 The Volvo V90, meanwhile, has been far more considerately crafted; designed with restraint, even. That’s because it’s been hewn from pure Sweden.